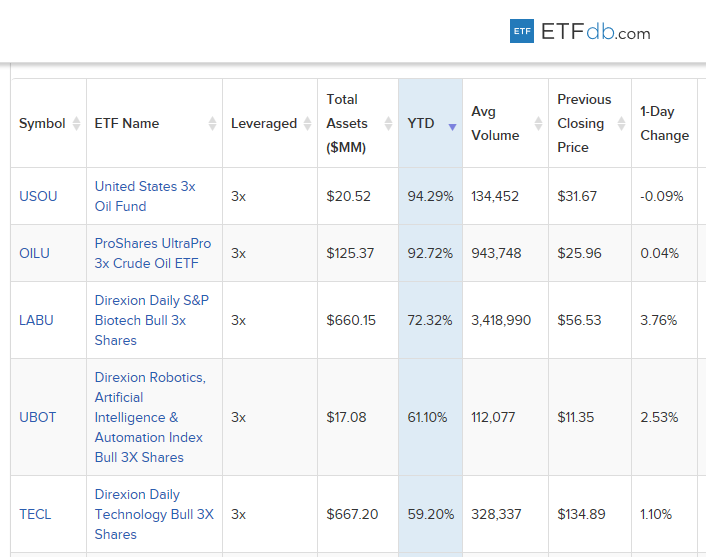 As the first quarter of 2019 draws to a close, leveraged exchange-traded fund (ETF) traders have seen oil and technology take the top spots for year-to-date gainers. 2019 started off strong for U.S. equities–the Dow Jones Industrial is up 10.25 percent through Thursday’s close while the S&P 500 is up 12.31 percent. The rise comes after a rocky end to 2018, and investors are picking themselves up again in 2019, but rather than deep-diving into the capital markets headfirst, they’re picking their spots and deploying capital more strategically. This is the case for all asset classes, whether it’s equities or fixed income. 2018 marked the worst year for stocks since 2008 and only the second year the Dow and S&P 500 fell in the past decade. In 2019, investors are no doubt reassessing their strategies for how to distribute their capital through the rest of the year. For traders utilizing leveraged ETFs for big gains, it’s been oil and technology providing the best returns. Crude oil prices are poised to have their biggest quarter since 2009 after spiraling downward in the final quarter of 2018. Meanwhile, the tech-heavy Nasdaq Composite declined 4 percent in 208, but tech is beginning to rally in 2019. Through Thursday’s close, the Nasdaq is up over 15 percent despite fears of a global economic slowdown pumping the brakes on the markets. OILU seeks to return a multiple (3x) of the performance of the Bloomberg WTI Crude Oil Subindex for a single day. 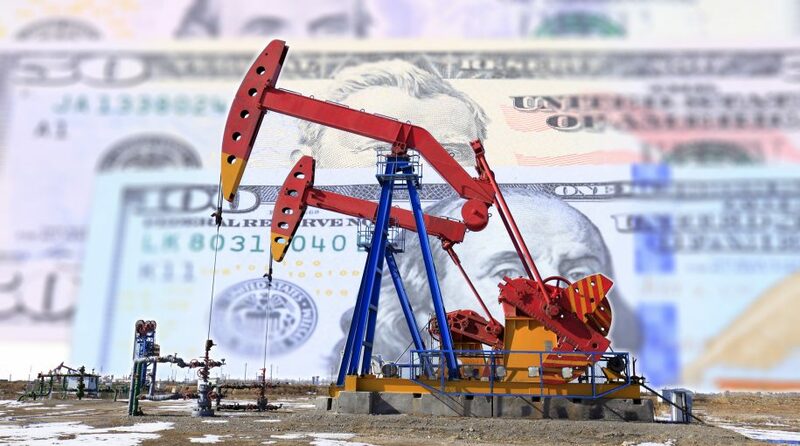 The fund seeks to meet its investment objective by investing, under normal market conditions, in futures contracts for WTI sweet, light crude oil listed on the NYMEX, ICE Futures U.S. or other U.S. exchanges and listed options on such contracts. LABU seeks daily investment results that are equal to 300% of the daily performance of the S&P Biotechnology Select Industry Index with the majority of its allocations going towards securities of the index and other financial instruments that provide daily leveraged exposure to the index or ETFs that track the index. Furthermore, the index is designed to measure the performance of the biotechnology sub-industry based on the Global Industry Classification Standards. UBOT seeks daily investment results equal to 300 percent of the daily performance of the Indxx Global Robotics and Artificial Intelligence Thematic Index, which is designed to provide exposure to exchange-listed companies in developed markets that are expected to benefit from the adoption and utilization of robotics and/or artificial intelligence. TECL seeks daily investment results equal to 300% of the daily performance of the Technology Select Sector Index. The fund invests in securities of the index, ETFs that track the index and other financial instruments that provide daily leveraged exposure to the index or ETFs that track the index, which includes domestic companies from the technology sector.